The Grillery Restaurant and Bar is a business venture of brothers Edmond and Rayan Dannug. The joint is one of those Filipino-owned establishments which successfully grew from humble beginnings. From a barbeque stand, Grillery Restaurant and Bar is now a fun Filipino hangout place where friends can have animated discussions over a bottles of liquor, good music and good food. Guests can even jam with performers on acoustic nights. 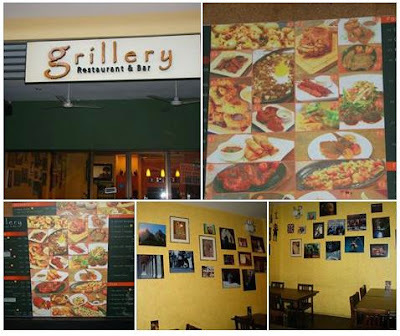 And not only does Grillery offer fun vibes, it is also a perfect dining place to treat your friends and family to different specialty dishes that sure to perk up your appetite. Edmond is picky when it comes to ingredients and in crafting food selections. He personally sees to it that the ingredients are delivered fresh and that the meat cuts are lean. Having his culinary stint in Malacañang serving the discerning tastes of the first family, he brings his expertise from former prestigious kitchen in concocting gustatory treats. According to Rayan, the Grillery kitchen makes its flavorful fusion cuisines from raw spices and herbs. Their family has aversion to MSG due to allergic reactions it causes them, so diners are assured that their food feasts are all MSG-free. Grillery Liempo (P 285 Sharing/ P 190 Solo), is a must-try. For me, there is nothing more delicious than a ½-inch thick, pork belly pieces. This mouth-watering, bone-in, grilled meat comes in tender and juicy. I can taste the “adobo” marinade that makes it savoury. It comes with a side dish of tomato, leaks and onion slices. 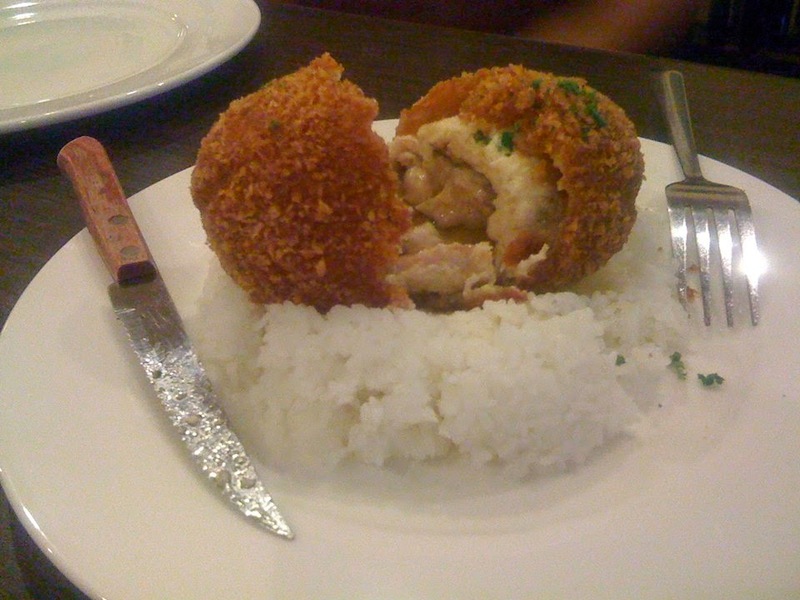 Chicken ala Kiev (P 250), is another favorite. This chicken roll is served hot on plain rice. Cutting a knife through its crisp, crunchy breading, reveals a buttery goodness that compliments the succulent chicken meat well. Appetizing butter flavor drips from inside the chicken fillet down on the rice while its aroma fills the air. I call it a feast of the palette! The deconstructed Pork Binagoongan (P 270) is actually a to-share platter of four deep-fried, crispy porkchop pieces with Ilocano pakbet on top. 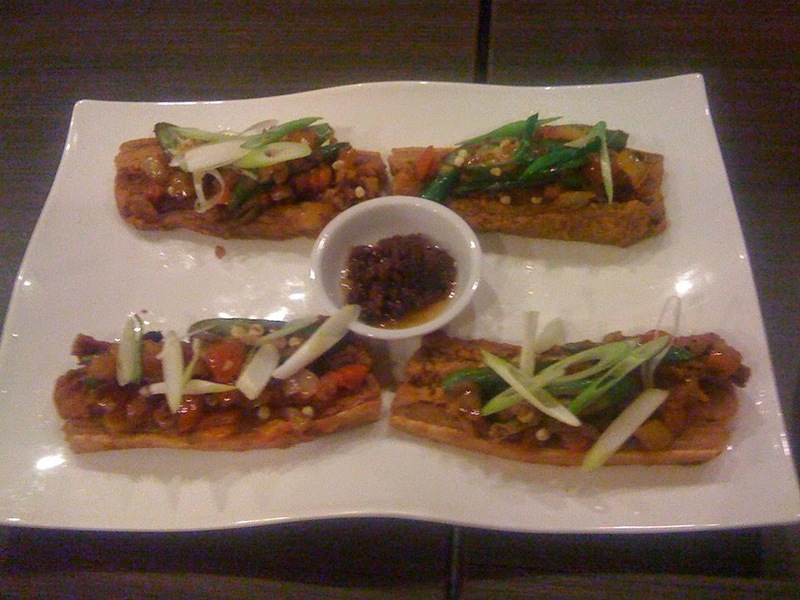 The shrimp paste (bagoong) can be added based on individual taste. The Balinese Fish (P 200) is another take on cream dory that I like. 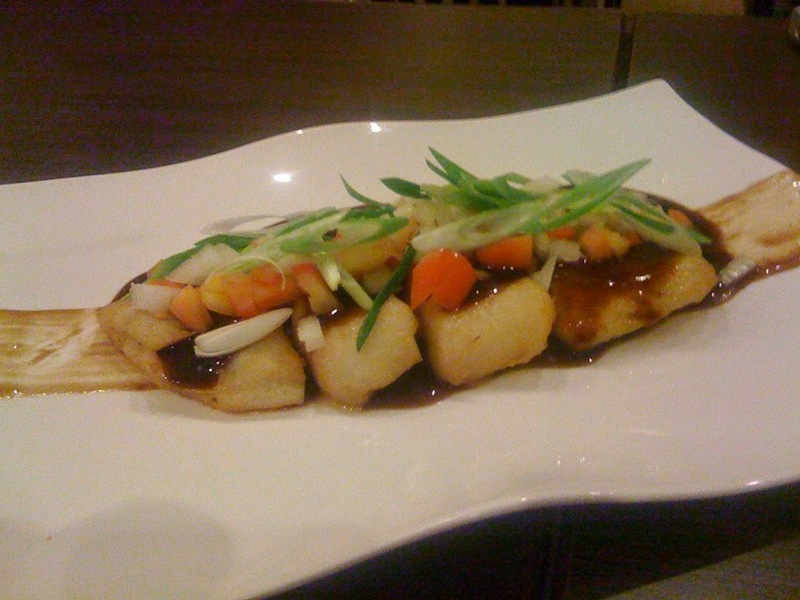 The perfectly done fish nuggets come in a sweet, soy paste with fresh vegetables sprinkled on top for added flavor. 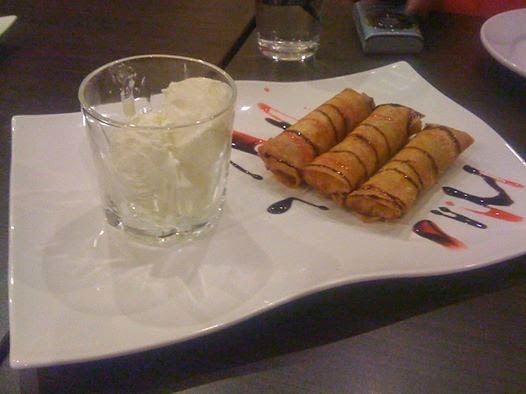 We had Halo-halo Turon for dessert. This sweet treat is like a spring roll only that the contents are made of halo-halo condiments like jackfruit, nata de coco, sweet potato etc. It comes with a side dish of vanilla scoops served in glass cup (so as not to render the crunchy roll soggy upon serving). The hot-cold sweetness is such a flavorful indulgence you wouldn’t want to miss. Truly a “melts- in- your- mouth” experience! Grillery offers other grilled specialties and platters as well, great for group bites. It is good to know that foods are MSG free, I just hope other restaurants too will follow. It's a cozy place perfect for Barkada gimiks. You should try the liempo. Totally agree with Janice, the liempo looks so good. That picture is good enough as a invitation for me to go there and try it. We have been cooking MSG meals at home for years. Good to know that they are serving MSG-free foods! I think this is the first restaurant I know that offers MSG-free food. I love the fact that it's MSG free so that you know you are only getting the real flavor of your food. The turon looks awesome. Id like tontrythe deconstucted pork binagoongan. I also love the fact thats its msg free. It's a toss up between the deconstructed pork binagoongan and the liempo for me! glad to know too that its MSG free. i wonder if it'll affect the taste! oh! looks like a nice place to hang out with friends!